I don't know about you, but I am happy that it is finally Friday. 1. We made it through another week of homeschooling! That's a win, folks! 2. I am still chugging away at the 2016 Home Organization 101 Challenge that Toni, from A Bowl Full of Lemons, hosts each year. It is going pretty well. At first I was staying nice and focused. Now I seem to be dreaming up new projects for each room instead of just purging, cleaning, and organizing them. (Sigh.) There is a pile of wood in my dining room right now that I am going to have to hide so that I can photograph and film the current after on the room for this week. 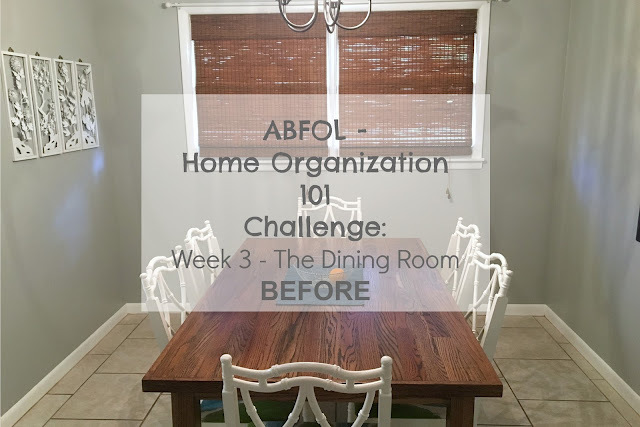 I'm still behind on writing these posts for the blog, but you can see the before tour on my YouTube channel. 3. My husband and oldest son are planning to spend the day in the woods tomorrow. I'm looking forward to spending the day with my will little Henry. 4. 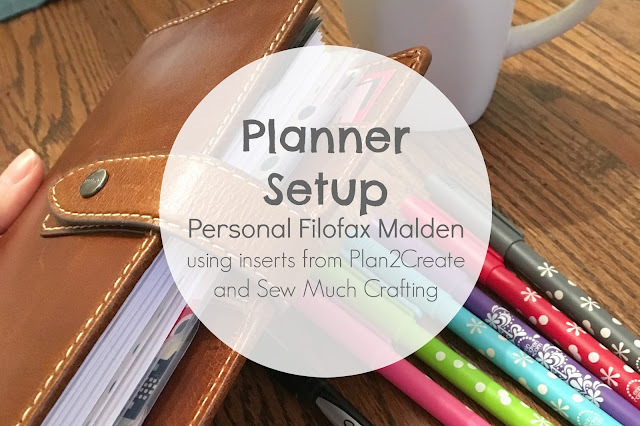 I have posted a few planner videos this week. My new set up is very functional and I am really enjoying it. 5. I found a new to me blog this week that I am really enjoying. 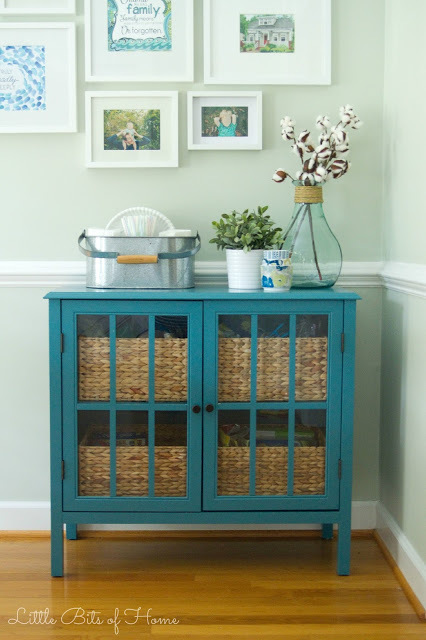 Samantha, from Little Bits of Home, has a beautiful home and blog that are full of inspiration. This cabinet is in her dining room being used as pantry storage. She's a smart girl! 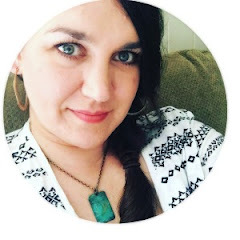 Be sure to stop by her blog and tell her I sent you. I'm linking up with High Five for Friday, Oh Hey, Friday, 5 on Friday, & Diary of a Real Housewife.